Why is Shuttle Such a Diverse Place for Authentic Foreign Food? How does the Shuttle team choose the partner restaurants which it lists on the Shuttle Delivery website? 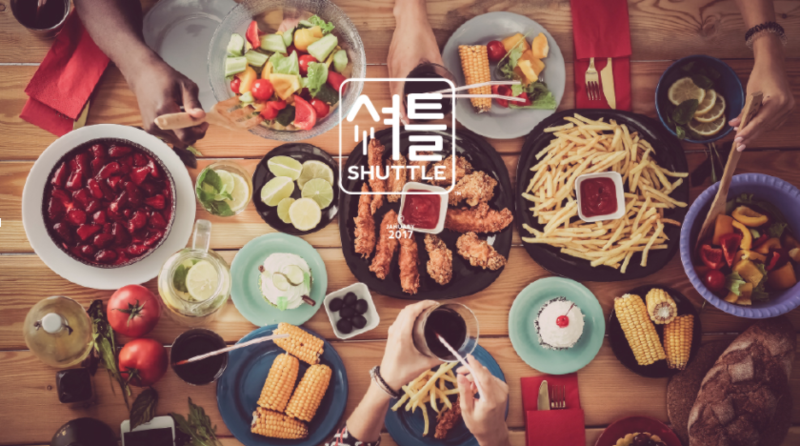 When Shuttle was first formed in Seoul as two separate companies 3 years ago; it had a hard time convincing restaurants to join the service. There were a lot of difficult negotiations because the restaurant owners didn’t trust a bunch of guys delivering their precious creations all over town. We had no reputation, clout, respect or standing in the community since nothing like this type of service existed before. So many restaurant owners had a very tenuous relationship with us at the beginning. So we had to work hard to gain their trust, so our customers would eventually have the best selection of restaurants in the city! Even now we only deliver for restaurants that have made the formal choice to join us; because we only want partners who really want to work with us. We know this type of relationship will translate to an overall better experience for our customers, as well as a way to simplify the ordering process. We also get a administrative fee from our restaurant partners, which helps us keep the delivery fee costs to our customers lower. It’s so important to really vet restaurant partners in order to choose the ones which are the best fits for our delivery system. We have learned from operating this business for this long that there are certain pillars of the food delivery world that people really need. All other types of cuisine are nice but the pillars have to be available so that customers will be fully satisfied with their ordering experience. The 6 top pillars of our food delivery service include Thai food, Mexican food, Pizza, Indian Food, Chicken, and Burgers. We knew if we structured our food options around these pillars, we would have more satisfied customers. These pillars are still our top sellers but people like variety which is why we have all these different partners for our customers to choose from. We really wanted to be known for the most delicious, authentic and diverse array of restaurants in town. So we started working extremely hard to recruit the most knowledgeable eaters in Seoul. Friends of ours who we knew ate out a lot started us off in the right direction but then as we grew as a company, we hired team members to actively search through all the blogs, review sites, etc. to add the most liked restaurants on those. “Restaurant Buzz Seoul” was a very influential group for us because it features a lot of very passionate foodies with a lot of strong opinions. We usually go with the policy even now that if one restaurant is getting at least 5 reviews then we will send a business development agent to negotiate a contract with the restaurant. Finally we had to trust our consumers. 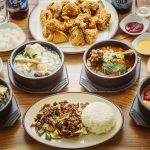 We would hear a lot of mixed reviews about certain restaurants which we were skeptical about recruiting but we eventually allowed them to join our roster in order to give our customers more choices. We learned that this was much better than not allowing the restaurants with mixed reviews, and only allowing partners with stellar reviews. 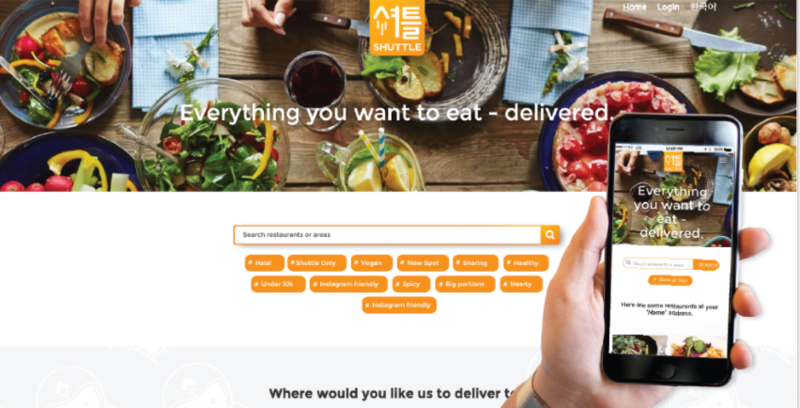 As a result more customers began to learn about new favorites, and we now offer over 200 restaurants for delivery in Seoul! We had to allow our customers to dictate the breadth of choices on Shuttle Delivery. 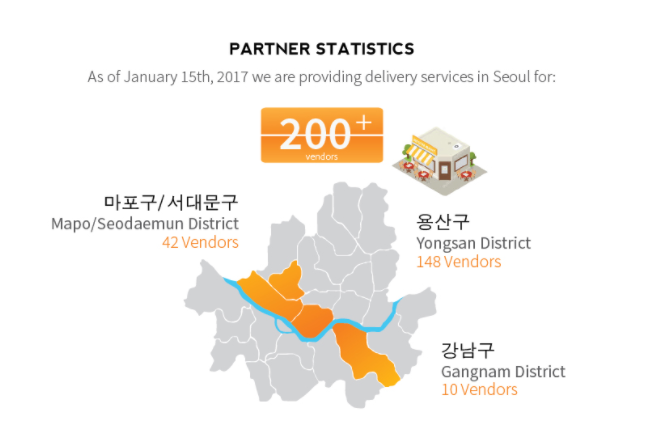 We take a lot of pride in being a company made by foreign food enthusiasts designed for the local Seoul foreign foodie. We are members of the community so we will never rest in order to make sure that this same community gets the best variety of delicious foods possible.